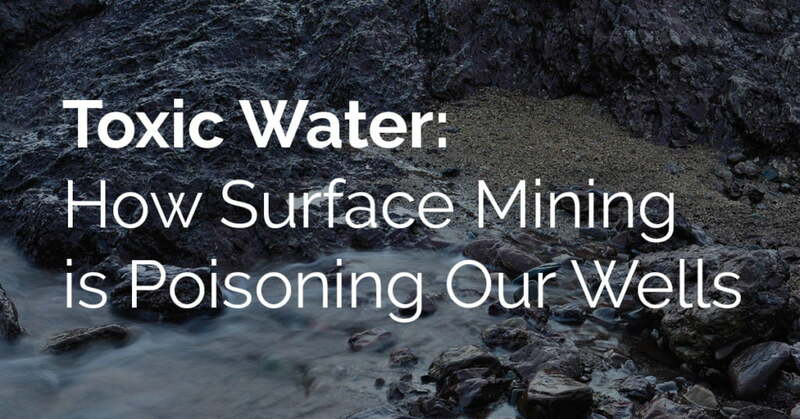 Imagine your home’s water was rust-orange and smelled like rotten eggs. Every time you showered or washed your hands, you got rashes and dry skin. The water is so filthy that your bathtub, sink, and clothes are stained blood-orange. At the same time, all your neighbors are getting diagnosed with cancer, inflammatory disease, and struggling with a variety of health complications. For some residents in West Virginia, the heart of America’s coal industry, this nightmare is a reality. The source of these issues is an extremely controversial and environmentally invasive coal harvesting technique called surface mining. Surface mining uses massive amounts of explosives to decimate the tops of mountains. This allows miners to easily excavate coal that is buried deep below the surface. Even though this mining technique is efficient, its environmental impact is disastrous. It leaves gaping holes in the terrain and obliterates animal habitats. But what is even more concerning is the miners take all the rock waste, called overburden, and dump it into nearby valleys. “When you dump a lot of overburden into the valley, and start covering up streams, you have water sources that end up traveling through the [waste] material,” says Professor Michael McCawley, an environmental engineer who studies the impact of surface mining. This includes dangerous heavy metals like lead, arsenic, and cadmium. Since overburden contains chemicals left over from explosives, it can also contaminate the waterways with toxic compounds that are not tested or regulated for public health safety. Scientists have no idea how these chemicals affect the human body when ingested via contaminated water. Once contaminated with heavy metals and harmful explosive compounds, the water then travels to the private wells of local residents. Since municipal water does not exist in rural areas, this well water is their only option. The polluted water from surface mining has taken a massive toll on the health of local residents. Some are facing less serious side effects like skin rashes, inflammation, eczema, and respiratory issues. But what is most concerning is the startling prevalence of cancer in the area—suggesting just how dangerous these contaminants are. One local even had his water tested. The analyst who evaluated the sample warned the water was so toxic that if he washed his clothes in it, they could catch fire under direct sunlight. While everyone’s water supply may not be as contaminated as these sites in West Virginia, toxic water is a global issue. In fact, if you tested your drinking water, there is a high likelihood that it would contain unsafe levels of heavy metals. This includes arsenic, lead (from old deteriorating pipes), chromium, cadmium and gut-disrupting chlorine. All of which can wreak havoc on your health. It is a difficult scenario because buying bottled water at the store is not a viable solution either. Bottled water is filled with plastic compounds that are carcinogenic and hormone disruptors. The only effective way to protect yourself is to chelate (remove) the toxins from your body. While there are several substances out there that chelate toxins, the most popular compound is a natural mineral called zeolite. When ingested, zeolite travels deep into your cells where toxins accumulate. From here, it binds to the toxins like a magnet and then transports them out of the body, where they can no longer cause you harm. What Zeolite Do We Recommend? We recommend the premium liquid zeolite supplement, Pure Body Extra Strength, from Touchstone Essentials. It’s the only activated zeolite on the market proven pure by 3rd party laboratory studies and sized properly for an effective detox. With every order placed from this link, we will receive a small commission that helps support our orphanage and foundation.